Was a bit of fun this year. Funny so many were used to M1KTA (contest log checker perhaps?) the short call confused a bit I think. Ran S&P, pretty sure heard Dave G3YMC just before me with SN8B. SOAPBOX: sometimes. 40m ant worked well this year. This can be fun.... I'll have M1K active at some point during the w/e for a more serious entry. This was my entry from 2013, qrp and only a couple of hours... note I was giving 001,002 etc... just look at the serial numbers I rx in return! The M1 was a rare prefix. tillståndstid i enlighet med 3 kap. 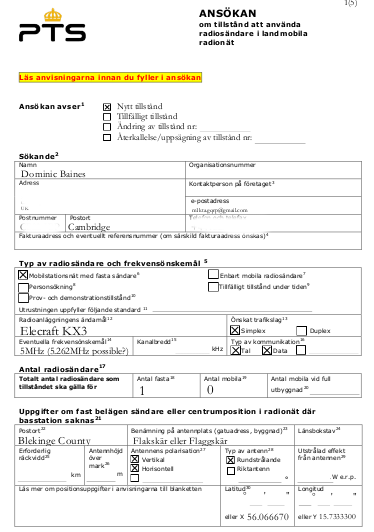 lagen (2003:389) om elektronisk kommunikation. Tillståndet avser användning av en radiosändare för radiotekniska experiment. 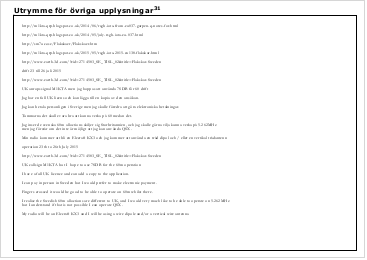 utsända signalen får ligga utanför det aktuella frekvensutrymmet. banden. Om sådan saknas ska tilldelad anropssignal användas. Trafik med andra tillståndshavare är tillåten. The Swedish Post and Telecom Agency decides on the allocation of radio frequencies, conditions and license period in accordance with Chapter 3. Act (2003: 389) on electronic communication. If the state of the same permit number previously issued cease the older state to apply. The modulation techniques that fit within permissible bandwidth may be used. No part of the transmitted signal may be outside our current spectrum. Transmission may only be made from the antenna site according to specification. Mobile use is not allowed. The frequencies are shared with other licensees and interference should not be caused to other radio communications. Call sign of amateur radio is allowed to use when communicating on the current bands. If this is not available to be assigned to the callsign used. Traffic to other licensees are permitted. I have the short call SD7B and SM7/M1KTA and will use those. I have the licence for the whole of July although not there until 23rd. So those interested in 60m if you want to try please get in touch. Was asked what the drive is.... 976 miles.... via the channel tunnel. 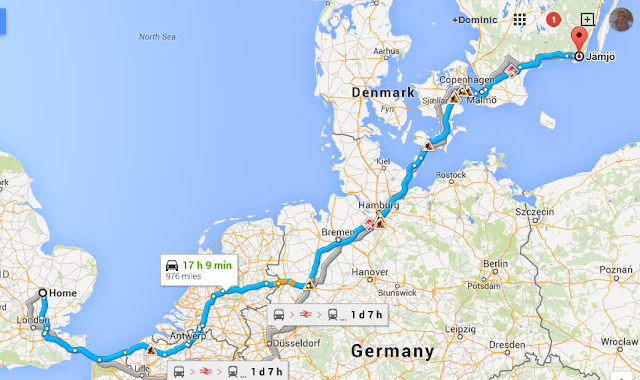 Pass where I used to work in Belgium and then on through Holland, Germany and Demark then Sweden. Will stop somewhere mid trip, and probably an IOTA once in Denmark too. 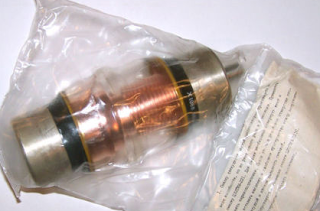 Whilst clearing out some of the boxes in the workshop so I can get back to work I discovered a vacuum variable (8" long 3" diameter) I had kept from PhD days (1993-96). The original use I had was a planned magnetic loop (using two joined lengths of 22mm copper pipe (about 6.2m long) just one join using silver solder, to keep the loop resistance down) with a 2m diameter. The capacitor would go across the gap in the loop. The feed point was using an FT240 torrid (-43 I think) with 3 turns to an N type, the copper pipe would have slid through this. The feed point is at the top of the loop, which sits at a slight angle to the vertical. The capacitor was to be in a length of 4" soil pipe, supported on an old 1/2" thick white chopping board. The capacitor would be tuned remotely using a spare (NEMA17) stepper motor and a reduction planetary drive from a CNC project. The loop should have been usable 3.5MHz right up to 21MHz. However ... capacitors with clear glass envelopes and copper electrodes, if there is any air ingress you will see discolouration of the copper about the electrodes, slowly at first and depending on how humid it will completely darken and discolour. Originally the insides were all shinny, now they are dark so I expect the envelope has been damaged. When I was a PhD research student in the Chemistry department in Cambridge University the gas handling line I used was maintained by the department glass blowers and I had accurate vacuum pumps. Given this I am pretty sure I could at one point have 'fixed' the capacitor and that was the plan, to glass blow on a small tube to attach to a line, then heat the capacitor whilst pumping down the interior and then to seal it again. Now you can pretty much assume the pressure inside is at atmospheric not fractions of what it was originally probably near total vacuum. I know that capacitors at atmospheric pressure (760 Torr, 1.01 Bar) have a voltage rating about 12-15 times lower plate spacing dependant than that of an otherwise identical vacuum capacitor (at 10-7 Torr). How do I know this... well lets just say during research if a capacitor failed I'd know about it damned quick. We used a thyratron pulse across a flash lamp at 5Hz and used a bank of vacuum storage capacitors. The voltage was up to 15KV. If one ever failed then audibly as the experiment ran it was like a fizzing as it shorted and the main flash lamp never fired. We used to have a selection of new 'spares' that we'd swap in. I never asked where they came from I think we had an Eastern European post doc in one of the other groups and they had 'acquired them', I never asked or where they went after we finished with them, several researchers before me had often throw them away (such a waste). Used to go through about 2 or 3 a year. I might just use it in an ATU where the high voltage doesn't matter so much as the capacitance is fine and it requires multi turns 10-470pF. Workshop almost clear of the old builders rubbish. Now got to clean all the surfaces and rehome the bikes (new shed needed) and get rid of some last bits and the workshop is back to original use again. Located the boxes of the cobweb and other antennas so they will go up/out when finished as well. Nice 2m length of network cabinet tray as well.... maybe that could be cut into pieces and used as the cover over PSU and dummy loads. It is an island (what else?) in group EU-138 (so not hyper rare) and I have short call SD7B. Flakskär has no water or power so I'll be taking everything with me. I have a 100W solar panel setup I would like to use so I will probably be driving from UK, with it plus all the radio kit about 900 miles going via tunnel but might fly, yet to be determined. Yes I have asked for 5MHz, expect will have 6m and there will be a qrss/wspr beacon too. I've also got the workshop back (yipee!).... however, lots of cleaning up to do as I have plaster and brick dust on everything. All components and builds were safely away but all the surfaces have a coating. Once that is done I'll be building again (someone else's K2 to finish first).